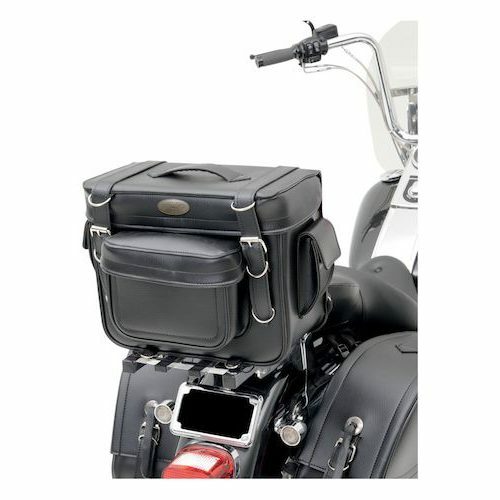 Compact sissy bar bag set that is the perfect storage solution for a road trip. Easy-to-use hook-and-loop fasteners that provide a universal sissy bar attachment. 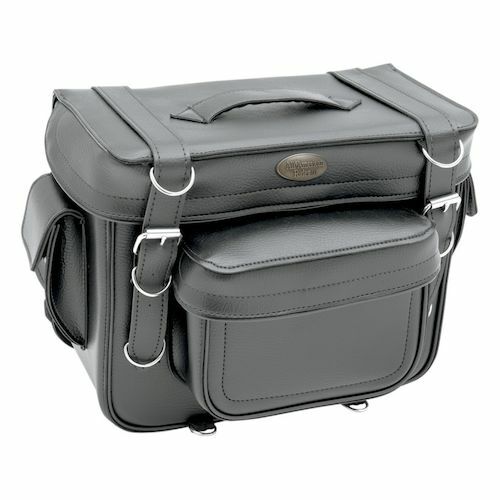 The bag provides a durable synthetic leather-grain material featuring sturdy inner reinforcements that retains it’s shape even when empty.